For over the 9 years Stephen Heywood has developed the Tech Buzz into a network that has branched out to broadcast, creative comedy, sports and political shows. Stephen received the Quicklink TX, a video call management system that allows broadcasters like the Tech Buzz to send and obtain reception and transmission of Skype video calls through an SDI and HDMI interface. As the Quicklink TX can receive from and send to any video-enabled device running Skype, this provides them unrivaled access to millions of connected Skype users. 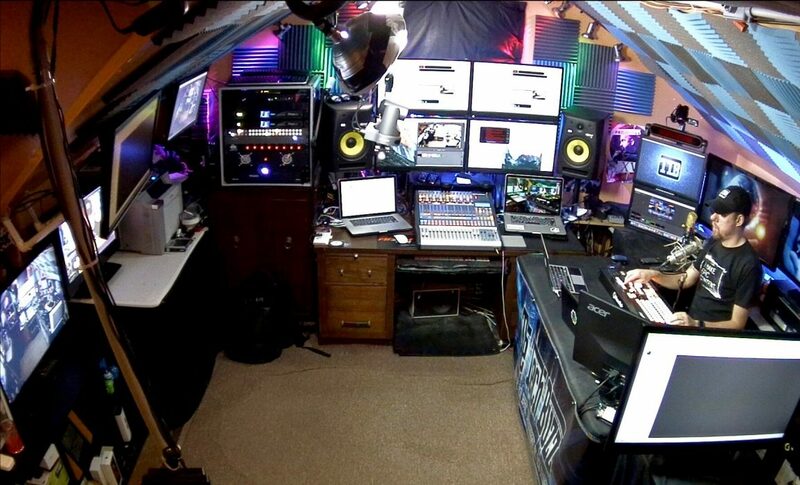 Stephen is able to broadcast the Tech Buzz show live at least twice a week. By using the Quicklink TX it has helped him gather in co-presenters to join in on the discussion and output professional video and audio for the audience. For the future Stephen aims to take on board more TX units so he can have up to 14 callers at one given time using the Skype controller. “I can see this becoming hugely implemented in place of a VOIP phone system, as more radio stations are moving over to video calling,” explains Stephen.